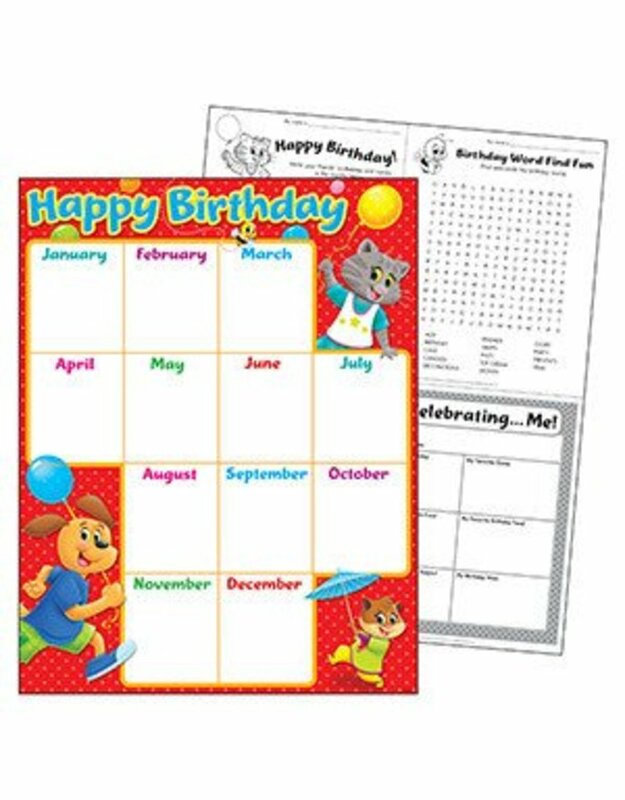 Celebrate birthdays with the Playtime Pals™ each month. Extra Value: Reproducibles on back and online. Durable. 17" x 22". Coordinates with Playtime Pals™ Collection.